Weapon, armor and consumable item rework. Equipment is more likely to do what you expect of it, 2H weapons will do a lot of damage and a tank in heavy armor will be hard to kill. Additional items, spells and skills, as well as changes to the existing ones with a focus on improving the more unappealing choices. Skills that grant stat bonuses, like Strengthen or Spellcraft, as well as static choices like Switfoot or Spell Ward were removed and compensated with higher stat differences between classes than in vanilla game. A full Finishing move rebalance. Most ways of gaining permanent stats were removed to reduce power creep in late game and increase options during early game. The power of special characters was reduced across the board, they're about on par with each other now and not overwhelmingly stronger than generics. Generic characters have more diverse templates that split into fighter, rogue, mage and generalist archetypes, their stats can differ a lot depending on which one you hire. Significantly increased the levelling speed of slow skills, like Steal or Parry. Most classes were tweaked, with emphasis on nerfing the strong ones and buffing the weak, many gained new tricks. Monsters don't scale natural armor as high as before. With the changes to skills, their new role is high HP bullet sponges that take a lot of damage and use the TP gained to spam special moves. Many items are easier to acquire, reducing the endgame tedium. Visual changes to some items, special characters, skills and spells. Streamlined crafting. Rebalance many aspects of the original game. Create a gameplay experience that is challenging to veterans of the SMT series. Add in some fresh new enemies and skills to revitalize the gameplay experience. This hack is intended for people who have already played (and generally mastered) the original game, and is designed to be played on Hard mode. For those who don’t fit this profile, or don’t want a more challenging experience than the original, then feel free to play on Normal mode. 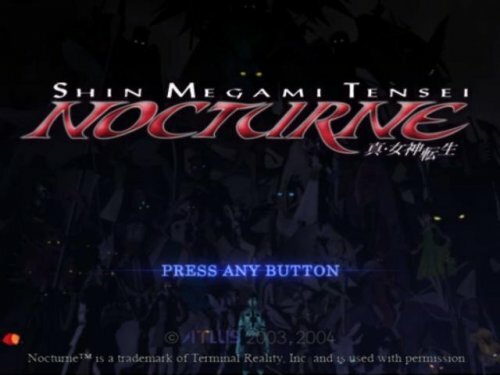 This download includes a patch with instructions to apply changes to a ROM file of SMT Nocturne. It also includes a patch for the useful Heretic Mansion tool and instructions on where to get it. Scald: AoE Light-Mid Fire damage. Lowers enemy physical attack. Laevateinn: Acts as Fire Boost and enhances Surt’s regular Attack Chill: Single target Light-Mid Ice damage. Inflicts Sukunda. Cocytus: 3-7 hits of Mid Ice damage. High odds of Freeze. Niflheim: AoE Mega Ice damage. Lowers enemy evasion. Zap: Single target Light Elec damage. Extremely high chance of Shock. Mjolnir: Single target Mega Elec damage. High chance of Shock. Thunder Reign: AoE Mega Elec damage. Moderately high chance of shock. Odinson: Passive skill that acts as Elec boost and doubles Shock chance. (unique to Odin) Dervish: AoE Light-Mid Force damage. Lowers enemy evasion Panta Rhei: AoE Mega Force damage. Vayavya: 3-7 hits of Heavy Force damage. Low odds of Stun. Antichthon: Single target Heavy Almighty damage. Inflicts Debilitate. Last Word: Single target Severe Almighty damage. Uses all remaining press turns. God’s Curse: AoE Med-Heavy Almighty damage. Inflicts random Curse/Nerve ailments. Sol Niger: AoE Heavy Almighty damage. Dekaja effect. Babylon Goblet: Sukunda effect. Mid odds of Panic. Soul Drain: Drains HP&MP from the enemy. (More powerful than Life Drain / Meditate) Fang Breaker: Single target Light Phys damage. Tarunda effect. Akasha Arts: Single target Heavy Phys damage. 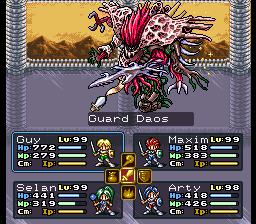 Greater damage with lower HP%. Primal Force: Single target Severe Phys damage. Cannot crit without Shock/Freeze. Skull Cleave: Single target Heavy Phys damage. Rakunda effect. Chi Blast: AoE Light Phys damage. Low accuracy, high crit rate. Earthquake: AoE Mega Phys damage. High accuracy, low odds of Stun. Cannot crit without Shock/Freeze. Gate of Hell: AoE Heavy Phys damage. Low odds of Petrify. Poison Arrow: 3-5 hits of Light Phys damage. Low odds of Poison. Bloodbath: 3-5 hits of Mid Phys damage. Low accuracy, high crit rate. Sakura Rage: 3-5 hits of Mid Phys damage. Low odds of Charm. Amrita: Heals all ailments on the party. Cadenza: Increases accuracy and magic attack. Heat Riser: Grants all -kaja effects twice to one target. Luster Candy: Grants all -kaja effects to the party. (AVAILABLE AS CONSUMABLE ITEM ONLY) Anti-Magic: Grants Fire/Ice/Elec/Force resistance. Anti-Ailments: Grants Nerve/Curse/Mind resistance. Void Ailments: Grants immunity to Nerve/Curse/Mind. Unshaken Will: Grants 2x resistance to Nerve/Curse/Mind/Death/Expel. Magic Boost: Acts as Fire/Ice/Elec/Force Boost. Arms Master: Halves the HP cost of physical skills. The XP gain on player demons not participating in battle and the half turn cost to swap them in makes using more than 4 demons much more powerful than in the original game. Use this to your advantage, and think beyond your 4 active party members. Be mindful of helpful consumables that can be purchased from Rag’s Jewelry. If a non-boss battle is going poorly: see if you have a Smoke Ball to use.